esProc is a programming tool for data manipulation. It can execute various types of data analysis and structured data computing tasks, as well as access the database freely to perform online data analysis. If you are familiar with Java runtime environment configuration and have already installed JDK1.6 or any of the above versions on local machine, you can choose the esProc installation package that will not automatically install the JDK but will prompt you to enter the local directory where the JDK is installed. Run esProc main program to open the esProc software, click on the icon to create a cellset file. At the upper part of the left side there is the cellset section, where the cellset file you are working with is shown; the lower part is the system information section where the system output can be checked. 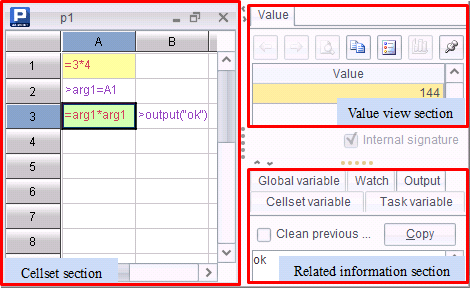 On the upper area of the right side there is the value view section and on the lower area there is the variable view section. 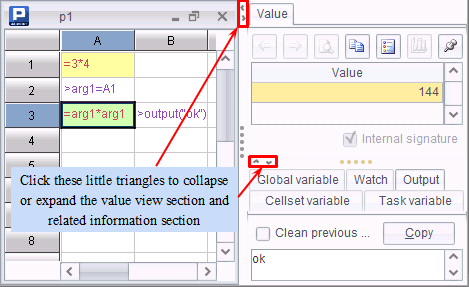 Both value view section and variable view section are collapsible and expandable. 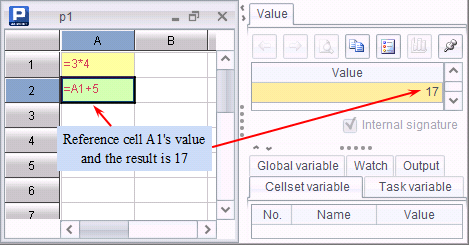 Different from Excel, in esProc the letter in the cell name must be capital. Execute tar.gz to install esProc in a Linux environment. Look up BeforeRunning.txt for the installation directions. Grant execution privilege to each .sh file under the /bin directory, and modify the START_HOME path in setEnv.sh according to the decompression path. Then execute ./startup.sh under /esProc/bin directory to launch the esProc IDE.